It’s that time of year when we make resolutions, both personal and professional. If your radio station (or radio company) has been neglecting its digital strategy, or if it’s time to take that digital strategy to the next level, 2017 is the year to do it. From time to time, radio stations ask me to talk about social media in a manner that suggests they view “social media” and “digital strategy” as interchangeable terms. In fact, social media is just one part of an overarching digital strategy. Moreover, it’s not the first part. When people ask me to talk about how to use social media, my first question is always, “Is your radio station regularly publishing online content?” If the answer is “no,” then I actually prefer not to talk about social media. Because unless your station is creating its own online content, the most it can really hope to do with social media is push other people’s content around the web. Sure, you can share fun stuff from YouTube, Rolling Stone, or TMZ. But that’s just going to drive your listeners to those websites. It’s not likely to have a significant impact on your station’s ratings or — more importantly — its revenue. 1. 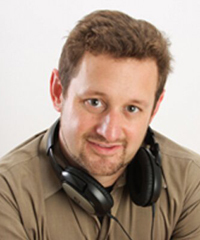 Understand where social media fits into your radio station’s overall digital strategy. Remember, “social media strategy” is not the same as “digital strategy.” That’s like saying that “adding detergent” is the same as “doing the laundry.” It helps get the job done, but it’s just one step in the overall process. For a deeper look at how Content Marketing can work for you, check out this webinar recording. 2. Start publishing online content. Online content – or a blog – is the foundation of your Content Marketing efforts. Once you have a grasp of the overall strategy, it’s time to put it into place. Of course, the first thing you need for Content Marketing is content — and that means you have to publish that content online. While your station may eventually want to create videos or podcasts, written content is usually the easiest to produce in large amounts — especially when you’re just starting out. A blog is simply a section of the website that’s regularly updated with content. While it can be something like what Doogie Howser composed at the end of every episode of his eponymous TV show, it can also be something much more professional. The websites for Perez Hilton, The Huffington Post, and The New York Times are all, in essence, blogs. I’ve put together a guide to launching a blog, as well as hosted this webinar on the topic. Start there. 3. Publish mo’ better online content. In the beginning, I recommend that radio stations set realistic goals for their online content or blogs. If you come out of the gate thinking you’re going to publish five blogposts a day, you could be setting yourself up for failure. You’ll just wind up getting discouraged. Instead, aim for one solid post a week, or one per contributor each week. Once everyone gets the hang of it, increase the number to two. Then three. Over the course of several months, ramp up the quantity, making sure the quality holds up. Once you’re publishing a healthy number of blogposts, focus on the quality. Develop editorial guidelines so that the style of the blog content appears consistent, even if you have different writers. Invest some time learning what makes for an effective blogpost headline. Invite guest bloggers to contribute material. And so forth. 4. Regularly talk about your blog. Carve out time on a weekly basis to bring together the appropriate staff members to review your online content, both to see how recently published content is doing by reviewing website analytics, and to look ahead and plan upcoming content. You can incorporate this into your weekly programming or music meeting, or establish a new web meeting. 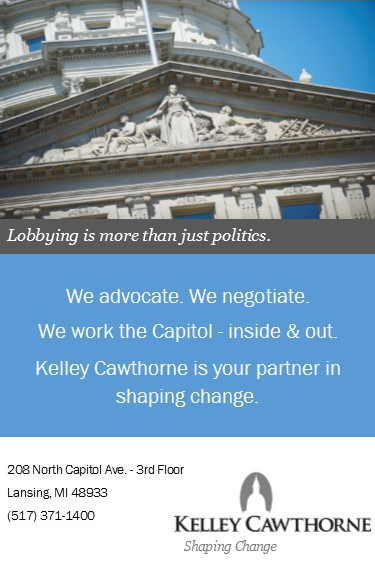 But the key here is to set up a specific time to discuss your web strategy instead of relegating these conversations to random hallway occurrences. Here’s a webinar recording that will show you how to run a weekly web meeting. 5. Develop a social media strategy for your blog — along with SEO and on-air promotion. Only now, after you’ve gotten into the habit of regularly publishing content on your radio station’s website, you’ve upped the game on that content, and you’re regularly reviewing the performance of that content, is your radio station truly ready to tackle social media. Don’t get me wrong — I’m not saying you should hold off on tweeting or posting status updates until reaching this point. I’m just saying these efforts will have limited upside without strong content on your website, so make sure you’re also completing the steps above. Once you’re creating consistently good online content, you’re ready to start sharing it on social media. 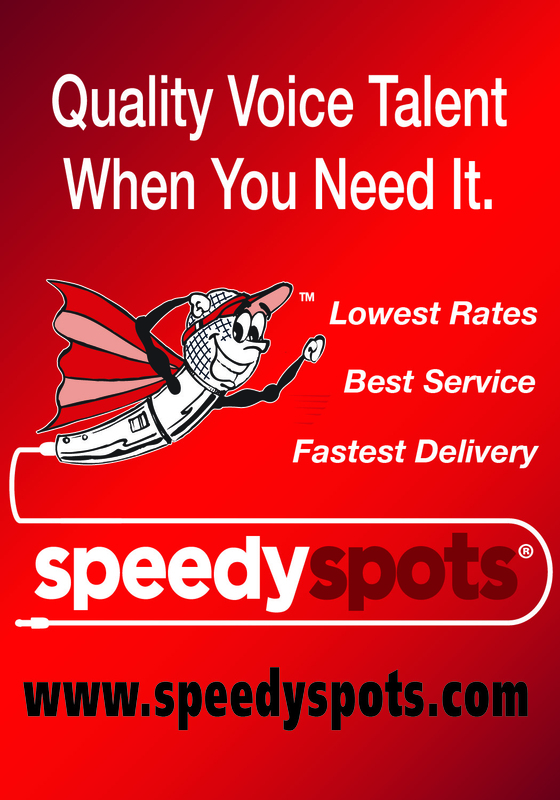 Think of your website as a radio station, and social networks like Facebook as local highways that get lots of traffic. Before you spend money putting up billboards advertising your radio station to the people on that highway, you’ve got to play great songs on your station. By the same token, before you start posting to social media, you need to put content on your website. Here’s a good rule of thumb for figuring out what content to share on social media. Of course, social networks are just one way to promote your website content. There are other ways as well – notably search engines like Google, and your radio station’s airwaves. If your website is like a radio station and posting to Facebook is like putting up billboards by the highway, then optimizing your website for search engines is like running TV ads, and plugging your website on the air through live reads or production elements is like putting signs on the sides of buses. In short, social media is one way to promote your website’s content, but it is not the only way. Make sure that you are not ignoring the other methods for promoting your website’s content. This year, set out to implement a holistic digital strategy for your radio station or company, not just one that focuses on individual components like social media. By linking all of the tools together into a coherent gameplan, you’ll be able to use the web to impact the station’s bottom line. That’s right-it’s GLBC time! The Great Lakes Broadcasting Conference & EXPO is less than two months away and YOU need to make plans to attend! Invest in yourself and your future…attend GLBC and be inspired! Journalists that happen to use a camera instead of a laptop. Freeway Devil: Preparing the story on the way TO the story; and how to structure the story on the way there, and then adapting it to what is actually there. How to turn a PR handout into a standout.. Multiple jump cuts are not a mistake, it’s a technique. Take the “Man on the Street” off the street, and make it infinitely more powerful. To get a great interview, leave the gear in the car…if only for two minutes. Really, two minutes. Putting the subject(s) at ease: leave your shoes at the door, and accept the water. I’ll explain! A hard news lead story shot in a day, with feature character building. Everyday stories that have disabled people as sources, yet the stories aren’t about disabled people! WHAT to DO and NOT to do in a fire: car engine running and parked for departure. How to shoot a policeman’s funeral when they won’t let you in. iEEi, International Electronic Enterprise, Inc., has been servicing the computer industry since 1976. We support the rich media world with our digital storage solutions. Our customers are Broadcasters, News Production, Animation, Editing suites/studios, Post Production, Special Effects houses and HD film scanning companies worldwide. These companies find that working with our IEEI Broadcast division is a nice change from dealing with larger, numbers oriented companies. As SERVICE is a main goal, we know you need to ask a lot of questions before you make a purchase decision. 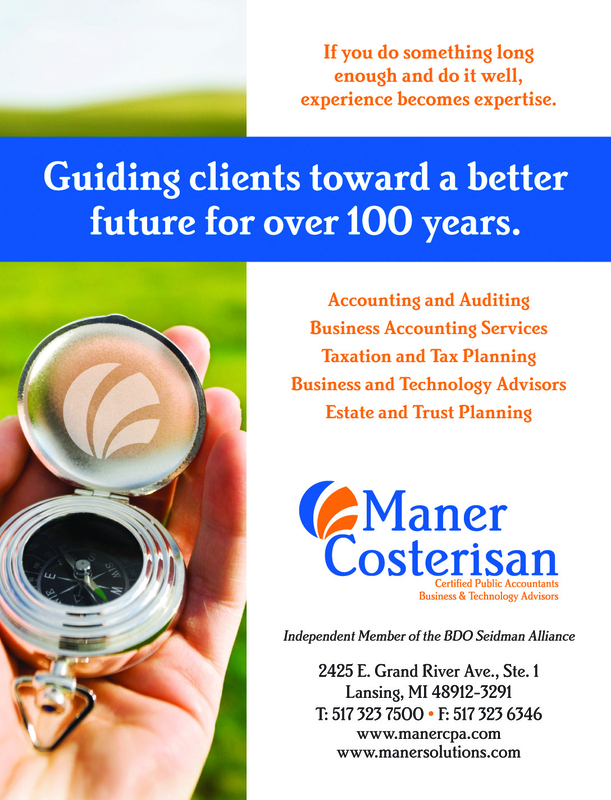 We offer experience and expertise to each and every customer. We VALUE you! We work with the LATEST in technology offered by manufacturers who manufacturer ground breaking products that save you TIME and MONEY. Located in Orange County, California (SO CAL), we are in a unique position to offer leading edge products to our customers. 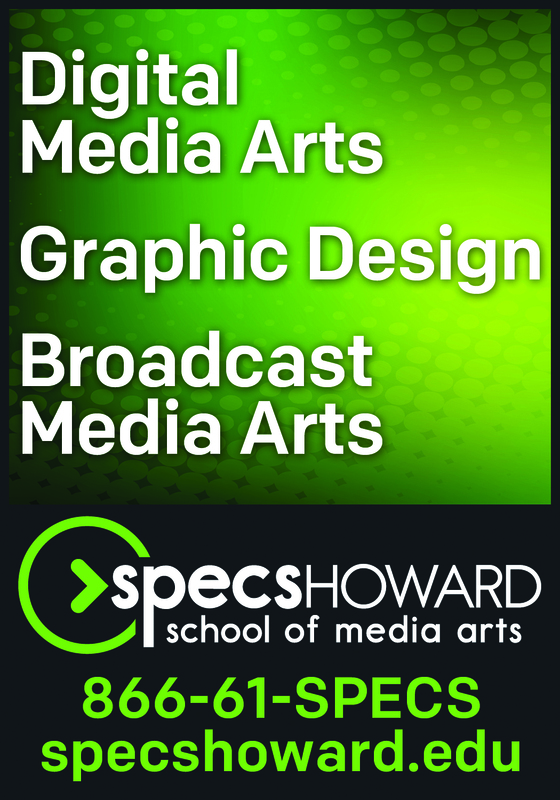 Let us give you the edge you need to be competitive. The world is flat and getting flatter every day. We’ll be at GLBC showing Apace. With Apace you have a winning plug and play set of tested tools to consider for deployment: A single point of support for ease of use. Customers LOVE the Apace tools along with the complete support iEEi and Apace provides. Apace 50 series – v50 vStor and e50 eStor and postMAM pm3pro+ Apace Systems has released the new 50 series, fifth generation vStor for Realtime in place editing and eStor for OnLine archiving. Now from 32TB in the 2U all the way up to 192TB in the 4U with SSD. postMAM pm3pro+ A full service/automated MAM, with built in Apace Channels IP playout and review. Finder – Powerful index/search tool that allows for any media/files to be indexed and searched with the click of a mouse. ODM – Off Line Disk Management is a Disk Based tool that runs on any vStor or eStor and allows for drag and drop file backup to removable 8TB hard drives. 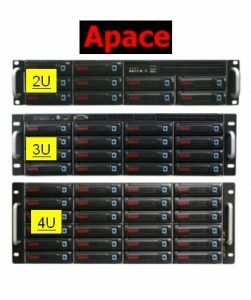 400TB-Apace_XenData. This is a turnkey solution, including 128TB of Apace eStor NAS, 270TB XenData LTO7 with 2 x LTO7 drives, 40 x 6TB LTO7 media including Apace postMAM pm3pro+ 4 user license MAM, PM3 Mobile, Adobe Premiere Panel with 28 port 10GE switch. 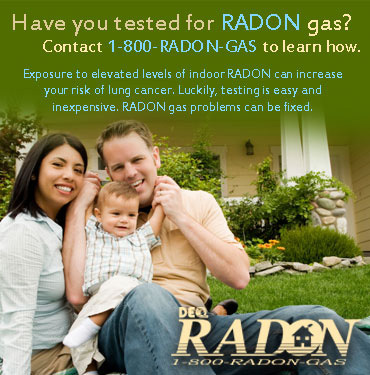 Contact iEEi for pricing: Paul Weaver, Sales: 616-929-9004 [email protected]. We’ll see you at GLBC! But, being ‘digital’ is a tactic, not a strategy, so that’s why Broadcast Electronics’ Commotion platform covers so many strategic bases for today’s radio broadcasters and their listeners – both today and tomorrow. Commotion is a complete ‘digital’ solution that incorporates your digital stream, social media and mobile technology into a single, broad based revenue and social engagement strategy that enhances the listening experience and the money-making capabilities of your station. The latest version of Commotion, V3.5.3, takes the power and reach of our platform to new heights, and even greater success. The centerpiece of Commotion is the Activity Stream. It’s a single live stream of interaction between listeners and the station, SMS messaging, now playing information, station selected Twitter feeds, station and listener provided photos and integrated advertising and promotional messaging. The station Activity Stream lives on the station web site as well as the iOS and Android mobile apps that are provided as part of Commotion, so no matter where a listener is, they can join the conversation. Some have called the Activity Stream the ‘second screen’ for radio, others call it the ‘virtual party line’ but either way, it’s the heart of the Commotion digital engagement platform. There’s much more, though. The Commotion mobile apps also act as your streaming app for listening where radio can’t reach. Commotion interfaces with your automation system to insert advertising messages into the Activity Stream synchronized with on-air advertising. Commotion allows the Activity Stream ads to link directly to client web sites for more information or even special on-line promotions or coupons, just by clicking on the link. Advertising in Commotion is tracked and complete reporting is also available so that clients can tract not only how many messages run and what time they run, but the click-through rate, so advertisers can see how well they work. Commotion also tracks the gateway that listeners are using to consume radio, so you can track your web site listeners as well as mobile devices, by mobile OS. Commotion also allows stations to employ push messaging on mobile devices to receive ‘real time’ messages from the station and advertisers even when the app isn’t open. Of course, these push message subscriptions are ‘opt-in’, and since they are mobile OS based, they don’t cost listeners anything to receive them (unlike SMS messages). Commotion is flexible and customizable and allows easy to make changes that show up in the app without having to resubmit the app to the various app stores. There is a special in-studio dashboard that makes it especially easy for station personnel to interact and operate Commotion easily without requiring a lot of additional work on their part. Station messages and advertising can be time scheduled as well, allowing you the ability to appear fresh and live even in hours where you might be voice tracked! Commotion is more than just a mobile app…it’s a revenue generation, social engagement platform and strategy for broadcasters. Commotion is a proven moneymaker that provides increased listener engagement, which leads to longer listening and more active listening. Broadcast Electronics will be showing the latest release of Commotion at the Great Lakes Broadcasting Conference in March at the Lansing Center. 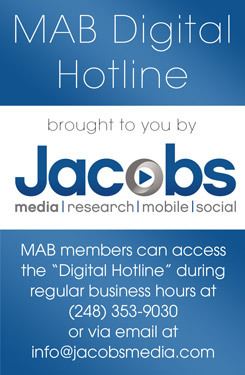 We invite you to see the best way to be digital…from BE. Introducing MABF’s NEW Student Broadcasting Newsletter! MABF 2017 GLBC Career Fair! It’s time for the MAB Foundation’s most popular and highly attended career fair and we want YOU to be a part of the action! The number one request from our stations is assistance with gaining new employee leads and that is exactly what participation in this career fair will give you! 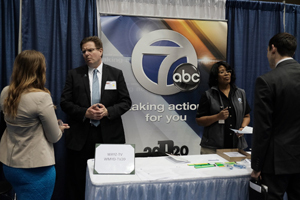 Every year, MABF Career Fairs seek to connect employers and schools with potential employees, students and interns; and to assist stations with the current EEO requirements. On Jan. 16, WKAR Public Media (East Lansing) will launch new, free, localized 24/7 children’s services – WKAR’s latest initiative to support early learning in the community. 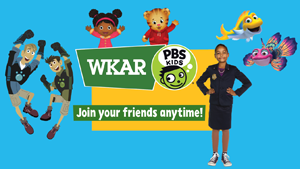 WKAR will broadcast PBS KIDS shows 24 hours a day on an additional television channel called WKAR PBS KIDS, making it easy for local children to watch their favorite series during primetime and after-school hours when viewing among families is high. Viewers will also be able to watch the WKAR-branded live stream through pbskids.org and on the PBS KIDS Video App, which is available on a variety of mobile devices and tablets. With the launch of the PBS KIDS 24/7 broadcast and live stream, WKAR will also introduce WKAR Family, a new initiative focused on offering and creating educational programming and media for Michigan families that is free, accessible and available across all platforms. WKAR Family will bring together the new PBS Kids 24/7 multi-platform services, long-running WKAR education services programs such as “Ready to Learn” and additional WKAR and MSU-driven projects. Currently in production as part of WKAR Family is a series of video shorts featuring tips and takeaways for parents and caregivers on topics such as literacy, social emotional development and science, technology, engineering and mathematics concepts. The videos are produced in partnership with MSU colleges of Education and Social Sciences, MSU Extension and other researchers at MSU, with the goal of distributing in Michigan’s capital region, Detroit and across the nation. 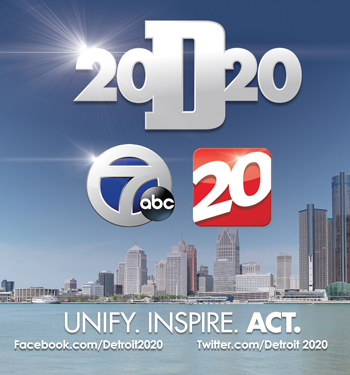 More than 20 videos in the series will be available at launch and are being shared with Detroit PublicTelevision for broadcast on the new Detroit PBS Kids channel. MSU, WKAR and DPTV have been working closely since a partnership was announced in January 2016, and DPTV will also launch PBS KIDS 24/7 in its market. As part of the relationship, MSU Extension educators and staff members are creating user experiences that engage children and their caregivers, thereby extending the educational value of PBS programming. The public is invited to WKAR PBS Kids Day, which will be 12:30-3:30 p.m. January 14 at WKAR TV studios on the MSU campus. During the open house, the Cat in the Hat and other PBS favorites will be available for photos. At 1:30 p.m., MSU President Lou Anna K. Simon, Sparty and other special guests will officially launch WKAR Family and present a special sneak peek at the new WKAR PBS Kids 24/7 channel. WNEM-TV’s Craig McMorris (right) broadcasting live from the WSGW Radio Centre lobby. He was joined by Tim Horton’s Ken Boomer (left) and WSGW’s Art Lewis (center). Alpha Media, Saginaw is proud to announce that WSGW-AM/FM raised $53,250 with their radiothon held on December 21. Money donated will go towards 1,775 nights of hope and care at the Rescue Ministries of Mid-Michigan. Rescue Ministries has homeless shelters in both Saginaw and Bay City, and, combined they house over 200 people per night including men, women and children. Once you have identified your marks and sought protection through registration for some or all of them, there are still going to be other issues that you will need to consider. Trademark owners have an obligation to police their marks and take steps to stop infringers. Otherwise, they may run the risk that someone else will profit off their marks or tarnish the reputation they have developed for those marks. In extreme cases, the failure to police one’s marks may result in losing them entirely. The biggest issues in trademark protection today arise from the use of trademarks on the Internet. In this blog, we identify some situations that you may encounter or want to think about. You undoubtedly have one or more websites to promote your services, to interact with your listeners or viewers or to make video or audio available for online viewing or listening. You have spent a fair amount of time and money promoting your sites. Then, you learn that someone else has registered and is using a domain name that is confusingly similar to your domain name or one of your trademarks to attract traffic to their site. There are numerous ways that these cybersquatters can register a variation on your domain name or mark: adding (or dropping) a hyphen, adding a generic term, misspelling a word, omitting a letter, and replacing the letter “o” with a “zero” or the letter “l” with a “one” are some of the most common. What should you do? You should establish a budget for taking action against cybersquatting. As a practical matter, however, you cannot pursue every one of these domain name registrations – you would need an unlimited budget. Our view is that you should only go after those domain names that have an active website that damages you in some way or are so close to your domain name or marks that they are drawing a lot of traffic. For example, does the domain name re-direct people who are looking for your website to a competitor’s site? Does it contain offensive content? Is it being used for some sort of scam or fraudulent activity? Once you decide that there is a problem, what are your options? If it is a competitor, a cease and demand letter may do the trick. In many cases, however, you may not even be able to determine the true identity of the registrant. You probably do not want to incur the expense of bringing a civil action in court. There is an alternative. There is a relatively inexpensive and fast remedy, called the Uniform Dispute Resolution Policy. It is essentially a mandatory arbitration that all domain name registrants must agree to accept. There are three things that you will need to prove: (1) the domain name is identical or confusingly similar to one of your trademarks; (2) the registrant has no legitimate interests in the domain name; and (3) the domain name was registered and has been used in bad faith. If you prevail, the domain name will be assigned to you. Trademark owners win over 85% of all cases filed and they typically are resolved in about 60 days. Finally, there are two types of websites where you may just need to accept them and take no action. First, parked or “pay-per-click” webpages incorporate various links to third party sites or advertisements. The domain name registrant receives a small payment for each person who clicks on one of these links. Such websites are extremely common and it is not usually going to be worth it for you to go after them unless there is a pressing need for that particular domain name. Second, if someone has registered a domain name similar to your mark and is using it only for legitimate criticism, they are protected under the First Amendment and you are unlikely to prevail. In fact, your actions may be posted on the website to claim that you are a hypocrite for asserting your own First Amendment rights as a broadcaster, while not respecting those of others. So, the better course may be to just grin and bear it. You can avoid some of these problems by registering domain names that are similar to your domain name or trademarks, even though you do not want or need them. Your costs in registering such domain names may be less than the cost of having to take action against even one cybersquatter. An attorney who is experienced in this area can provide you with suggestions on the most common types of variations on your mark that you may want to register. In the past, a trademark owner only had to worry about what cybersquatting in a limited number of top level domains (the part of the domain name that appears to the right of the dot), e.g., .com .net, .org and a few others. Even so, as discussed above, the scope of the problem has not been similarly limited because of the numerous possible variations on your domain name or mark. Over the last two years, the organization that is responsible for the management of the Internet, ICANN, has approved the launch of hundreds of new top level domains, with more to come. These new top level domains fall in numerous categories: truly generic (e.g., .online, .site, .website, .cloud, .help, .xyz), geographic (e.g., .nyc, .london), industry (e.g. .news, .press, .accountant) and others. Thus, the potential number of problems has grown exponentially as has the cost of obtaining defensive registrations for your trademarks. Very few, if any, of these new gTLDs have caught on with the public and it is expected that many will ultimately fail. It is my view that most businesses should be very selective in registering their marks in any of the new gTLDs. For example, the European Broadcasting Union has been chosen by ICANN to administer the “.radio” domain name as a community top level domain. Thus, it will only be open to members of the International Radio Community. Radio station licensees may want to register their call letters and other trademarks as .radio domain names. Anyone who wants to register a mark as a second level domain should get that mark registered with the Trademark Office. Marks that are federally registered can then be registered in a database called the Trademark Clearinghouse, which will then allow the owner to seek registration in a new gTLD for a sixty-day period before the registry can make its domain names available to the public. Do you ever conduct a search on the Internet and wonder why the first-listed results are even there? It happens because someone is paying the search engine to lists its ad (or “sponsored link”) in response to searches for a particular term (or “keyword”). Sometimes, these terms may be one of your trademarks and, in some cases, the sponsored link may be for one of your competitors. Unless your trademark appears in the sponsored link, however, most courts have become unwilling to take action. More and more often, they conclude that there is no likelihood of confusion because the sponsored link is typically somehow set off or distinguished from the actual search results, such as by incorporating the word “Ad,” and consumers have become used to seeing these sponsored links and are not likely to think that they are associated with the owner of a brand that he or she was searching. Where, however, the sponsored link or the web page to which it is linked includes a reference to your trademark, you may have a remedy. If you decide to bid on your competitor’s trademarks as a keyword that will generate a sponsored link to your website, you equally need to avoid making any visible reference to the competitor or its marks. Historically, television and radio stations have been local. 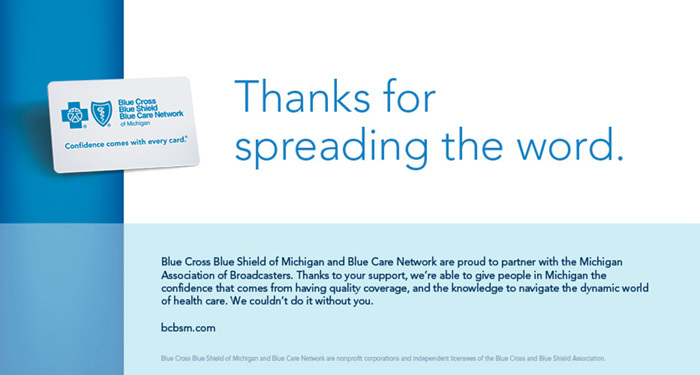 If two stations in the same market used similar slogans, consumers would likely be confused. Advertising for one station could result in more listeners for the other station. Similarly, one station might get credit from Arbitron for a listener who was tuned to a different station. In that situation, the broadcaster that used the slogan first would have a trademark infringement claim available as a remedy. In contrast, a station in Chicago, a station in Miami and a station in Los Angeles could each use the identical slogan without any problems. For example, Arbitron could determine that a listener who used a slogan to identify a station could easily determine which one it was based on where the listener lived. Streaming of broadcasts meant that a listener in Chicago might be able to listen to the broadcast from Miami or Los Angeles on any Internet enabled device. Or, someone who conducted an Internet search using the slogan as a search term could easily be directed to the web site for any of these stations. Courts have resolved many claims based on webcasting or other activity on the Internet by finding that being on the Internet is not always the same as engaging in activity in every geographic area nationally. If one party has a federal registration for its mark, the answer may be more complex. These issues will continue to arise in cases involving Internet-only radio stations or webcasters. 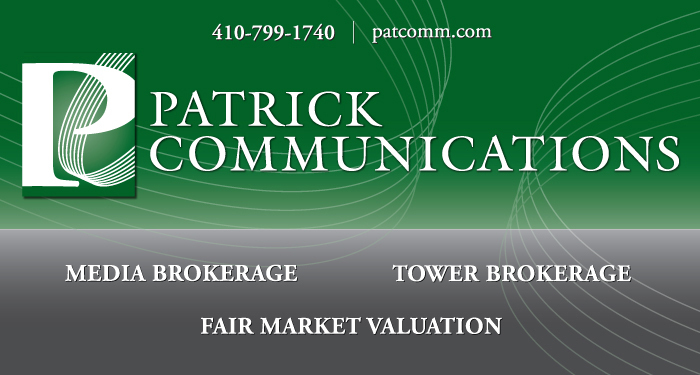 Even though FCC-licensed broadcasters cannot use the same call letters as another licensed station, webcasters can try to identify themselves any way that they want, particularly if they are using four letter “call” letters that begin with a “W” or a “K.” Issues can arise when the website operator uses “call letters” as part of a format this is a “tribute” to a defunct station, but the call letters have since been assigned by the FCC to another radio station. Users of social media frequently adopt a name or handle that is identical to a well-known trademark. In many cases, there is no bad faith and making a complaint to the individual may result in unwanted publicity. Most social media have adopted policies to address complaints by trademark owners, but many are not responsive to the concerns of trademark owners. Here, too, defensive registrations of names in social media may be the best approach. The increasing uses of the Internet have been a great boon to most businesses, but has created many new problems as well. They may seem overwhelming at times, but, with some planning, they can be managed whether your business is large or small. And, like most problems, they will not disappear if we ignore them. This concludes our Trademarks Basics series – we hope you’ve enjoyed learning about this fun and engaging area of law. For more in our series on trademark basics, see Part One on what a trademark is and why it is important. Part Two talked about the importance of trademark searches. 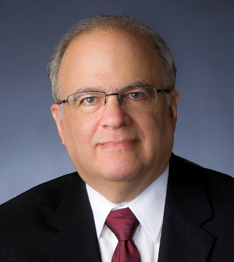 Part Three, as set out above, dealt with the benefits of Federal trademark registration. Part Four suggested conducting a trademark audit to make sure that you are maximizing the value of the brands that you own. Kevin Robinson will be speaking at this year’s Great Lakes Broadcasting Conference (GLBC) March 7-8, 2017 in Lansing. Kevin will present two sessions: “Coaching The Coaches” and “#Branding – in a Social Media Age.” More information and registration here. Say hello to Scott Ginsburg. 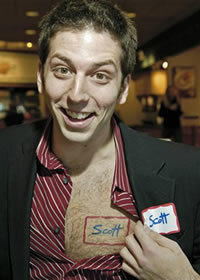 Scott is the guy who, since 2000, has worn a Hello My Name IS Scott nametag. Every day, every hour, every minute. He even has it tattooed on his chest so it’s on when he showers. One visit to Scott at www.hellomynameisscott.com, and you’ll know who he is – instantly. 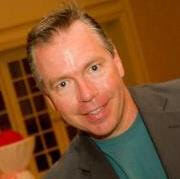 Imagine you – taking Scott’s affinity for name recognition and applying it to your brand. In measured media, we ‘run for office’ every quarter – every month – everyday. Making a face impact on the first meeting – audience | client | networking – is paramount. 1. Upon greeting, extend your hand and announce who you are (and who you’re with) – first AND last name. 2. Create nametags, embroidered shirts or ID’s for your staff (magnets backs for nicer clothing/events). 3. Engage prior to station/client business (where are you from/where do your kids go to school?) That’s where relationships are built. 5. Leave something – anything behind – memorable to create a lasting impact. You can make an impact with the smallest details. Hand-written thank you notes? Plus, dollars to doughnuts, you’ll be the only one in your brand lane paying attention.